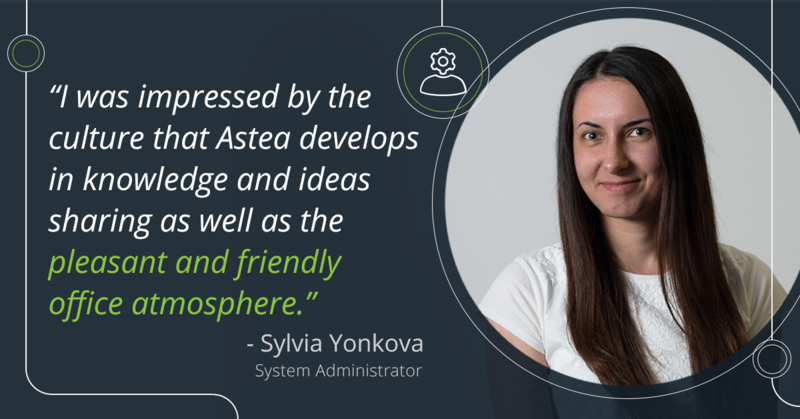 Sylvia and Georgi joined Astea Solutions’s team as System administrators after a successful completion of our summer internship program. We asked them a few questions about their experience getting to know the company. 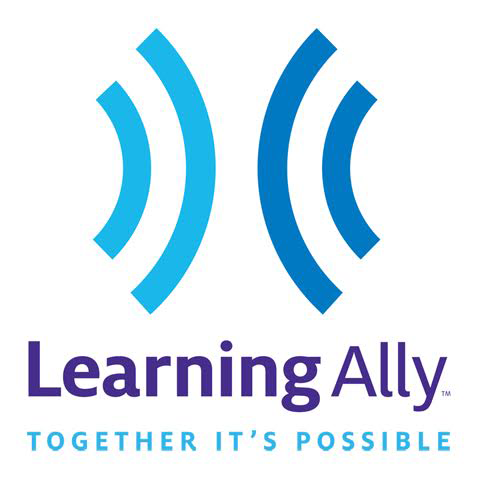 Find out more about their choice to join Astea. 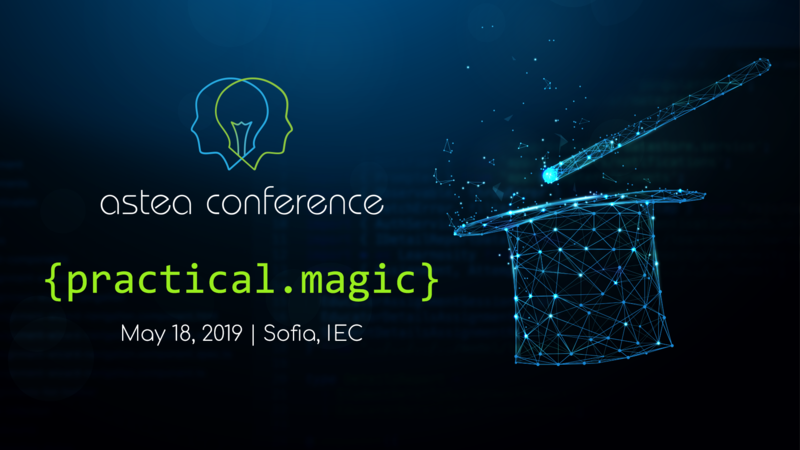 My name is Sylvia and I am a third-year student at Sofia University, presently majoring in Software engineering at the Faculty of Mathematics and Informatics. University life has been great by far and now I am taking my first steps in a real working environment. What brought you here as our intern? 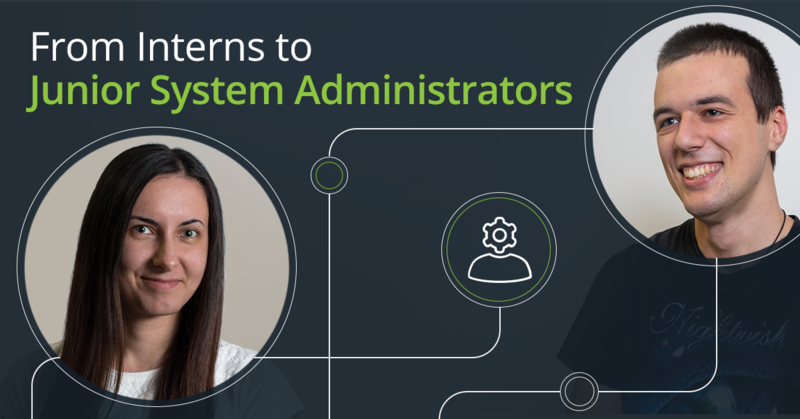 With my interests in Linux, bash and computer networking combined, I wanted to dive into Linux system administration, gain some hands-on experience and undergo a training in the field, so Astea’s summer internship program was just the right fit for me. What was your involvement in the project and how it felt? For our final project we, the sysadmins, were involved in the integration and deployment, using tools as Gitlab Runner, Docker, and Kubernetes. It was really exciting for me to go through the process of building a software product from scratch, including daily meetings and planning discussions while getting to know the latest deployment practices. Did Astea surprise you with something? I was impressed by the culture that Astea develops in knowledge and ideas sharing as well as the pleasant and friendly office atmosphere. The jigsaw puzzle solving was something I loved, but the biggest surprise of all was the good witty pal Rubot. For the time of 3 months, I became acquainted with a variety of tools, techniques, and concepts, which got me even more captivated. Seeing the big picture, I came to realize how much more is out there to explore and learn and I’m glad I have the chance to continue enhancing my set of competencies with Astea’s family towards becoming a sysadmin to rely on. 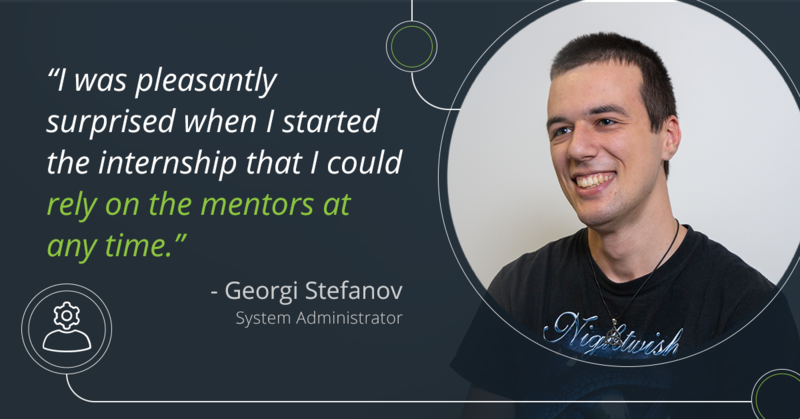 My name is Georgi and I am a sysadmin at Astea. My non-work related hobbies include video gaming, watching movies, listening to music and reading (mostly fantasy) books. I do my best to work out and have a healthy lifestyle. During my university studies, I had several programming classes (some were easy, while others proved to be more challenging). And although I was doing alright, programming wasn’t really something that I truly enjoyed. I really enjoy practicing Operating Systems and throwing little pranks on my colleagues. It might as well be said that it was a little spark that led me down to system administration. Learning the basics took quite some time and hard effort as well I am finding myself continuously learning something new every day. I knew there were some positions out there that offer system administration mixed with some other fields, but I wanted pure SA, which Astea’s internship offered. During this project, I had to setup the deployment of the application coded by the developers. It required different environments as well as using the newly learned skills with Docker. I really liked working like this, because while I was working on my part of the project I got to talk to the rest of the team and learn a bit more about their work as well. 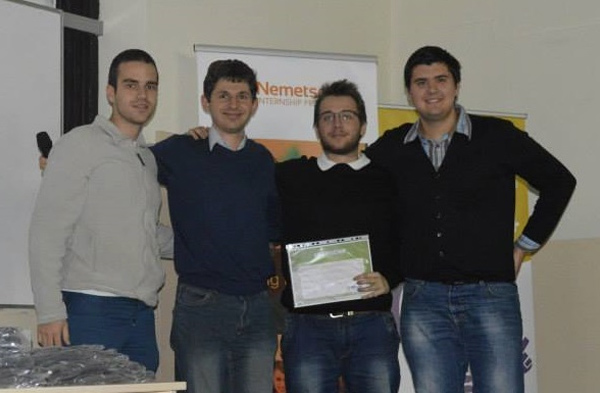 I was pleasantly surprised when I started the internship that I could rely on the mentors at any time. I was expecting a harsher environment, but just knowing I could ask someone more experienced than me gave me the comfort to work with minimum (if any) stress. And the winner is… LINK!